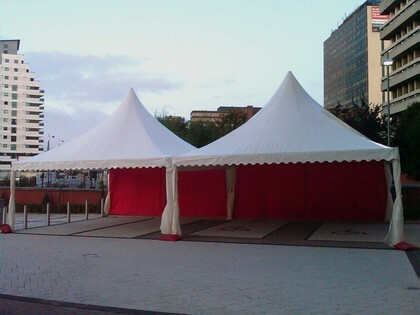 Crest Marquees can also provide Pagoda Marquees or ‘Chinese hat marquees’ for your marquee hire. 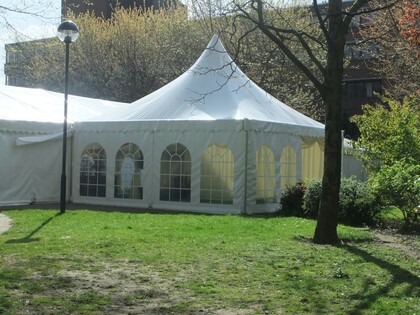 A pagoda is a stylish 6 x 6 meter marquee with a distinctive peaked roof. 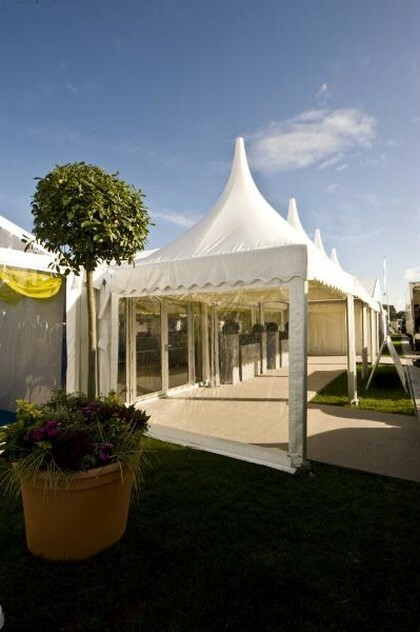 Pagoda marquees are ideal for creating a separate focal point away from the main marquee. 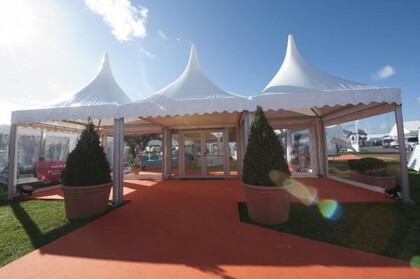 Pagodas can be linked up to the main marquee, adjoined to a house or building or can be separated entirely. It really depends what you are hoping to achieve with your event!